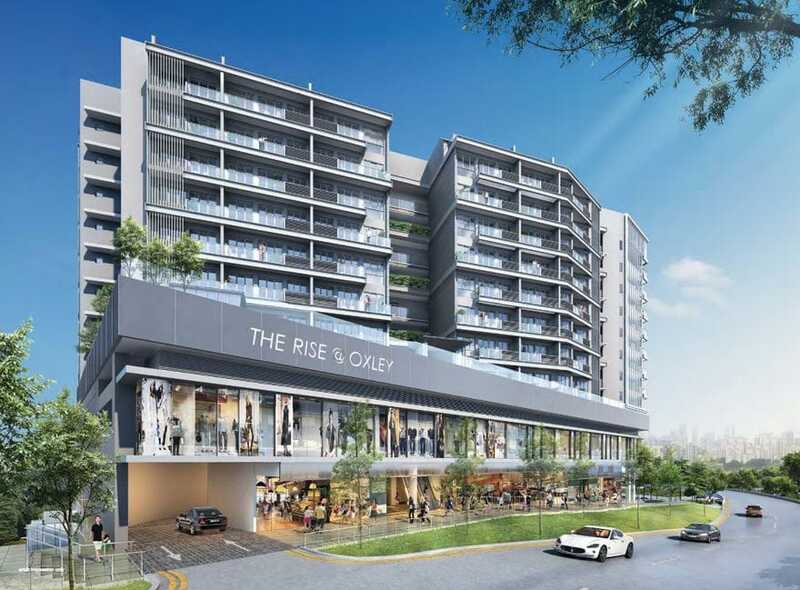 Having only sold 51 units since June 2014, a freehold new launch project, named The Rise @ Oxley located at District 9 is set to launch its 2nd phase with units priced from S$1.38 million. It comprises a total of 120 residential units, which sit on top of a 2-storey podium with 39 strata retail shops (yet to be launched for sale). The unit types consist of 30 1-bedroom apartments (463 sqft) and have all been fully sold during the earlier phase, transacting between range of S$1.055 million (or S$2,280 psf) to S$1.15 million (or S$2,479 psf), according to URA statistics. The Rise @ Oxley also comprises of 2-bedroom units (58 of them in total) with sizes ranging from 614-sqft to 646-sqft, while the rest are 3-bedroom units (including dual-key layouts), which are sized between 667 to 1163 sqft, and also penthouses of sizes between 753 – 1195 sqft. In the new phase, a total of 31 2-bedders will be released with prices starting from S$1.38 million or S$2,110 psf. According to the developer, they see the potential and value in this area and with the freehold status, the site is just a stone’s throw away from mega shopping malls such as Orchard Gateway. Despite being located within walking distance to Orchard Road, The Rise @ Oxley is situated with a quiet enclave away from the city buzz. Construction is already in progress and will be in time for completion by 2019. Because the site was bought back in November 2012, what worries the developer right now is that they have to sell all the units at The Rise @ Oxley by November this year, in order to qualify for the ABSD remission. However, Oxley Holdings sees some pent-up demand in area as there haven’t been any new launch in the area since Belle Vue Residences back in 2008. It was mentioned that the price gap between those developments located in the Core Central Region (CCR) and those in the Rest of Central Region (RCR) has been significantly narrowed. 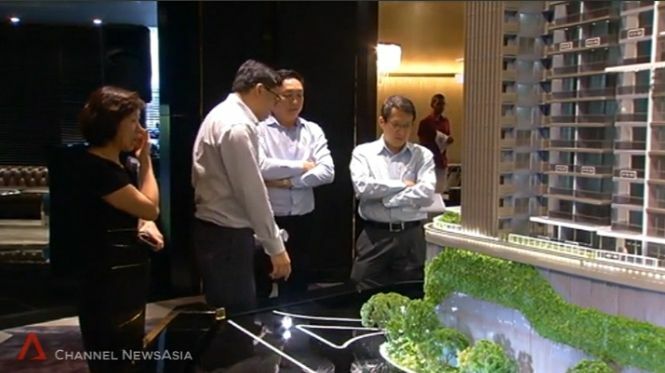 Therefore, Oxley Holdings believed that it’s a good time for investors to revisit the high-end residential segment as current pricing is below the replacement cost. For instance, the 99-year leasehold new launch mixed-development called City Gate along Beach Road has sold its residential units at a price range between S$1800 to S$2000 psf. In the prime CCR, a 99-year leasehold condo Mon Jervois have been transacting at an average price of S$2100 psf since 2013 when it was launched. Based on transactions recorded at the end of January 2016, a total of 48 out of 109 units have been sold at an average price of S$1838 psf.